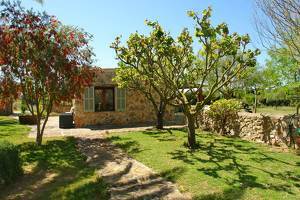 On our website we offer a wide choice of holiday homes such as fincas, villas, apartments and country hotels for rent in Mallorca. Properties range from economic to exclusive, rustic to luxurious, located near the beach or in the beautiful countryside. Romantic settings are just the right spot for a perfect "get away from it all" holiday. For almost 10 years we have been carefully expanding and refining our selection of holiday homes. Our offer includes the right choice for every taste, whether you are travelling as a single, as a couple, a family or in a group. 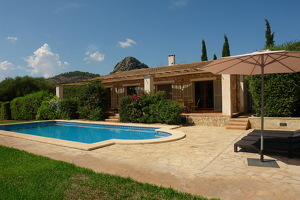 Find your perfect Finca for your Mallorca-holiday - economic or exclusive, rustic or luxurious. Looking for something special? Our luxury objects are just the right thing for you. Find your holiday appartements in Mallorca - either inland or near the sea. Beautiful country hotels and finca-guesthouses for relaxing holiday. Mallorca is more than vibrant popular resorts – it encompasses a unique flora and fauna, stunning landscapes and secluded beaches. Take advantage of the island's excellent sports opportunities – both inland or on the coast. Relaxation, culture as well as great shopping in Palma can easily be combined. Get to know Mallorca from a different, unknown and fascinating point of view with fincas4you. fincas4you offers you complete customer service. Flights, rental cars and travel insurance can be booked directly on our website. Find our fincas4you island guide with constantly updated information about the island's places to be and see directly on our website. Our English speaking travel experts are happy to answer your questions or give further information to you by phone or email. With your booking you will receive our 24h service hotline for your personal attention during your stay as well as our island guide hand out. You can search for available properties using our live availability search and price calculator. Availability on the site is live. Simply enter your details and criteria and you will be shown villas or apartments that are free for your desired dates. If you see the property you want and it is available you can book it. Please use the corresponding “booking enquiry” form.